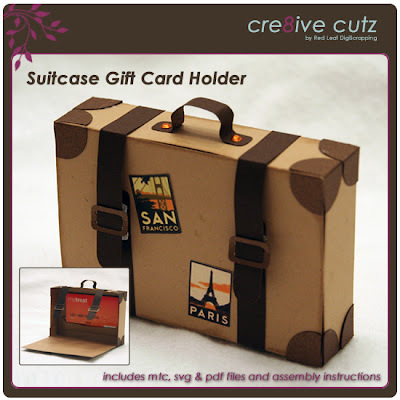 This cute little suitcase with lots of detailing has a secret - open it up and it's a gift card holder. Perfect for anyone who loves to travel or is heading off on an adventure. Click on the preview image to check it out in the store. MTC, SVG and PDF files as well as full assembly instructions are included. A peak inside the suitcase. 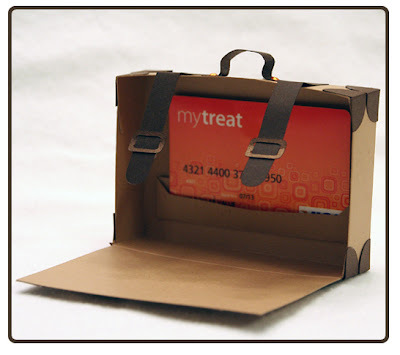 A message can be stamped or written on the inside flap as well.